As a Consumer Loan Underwriter at Desert Financial, you will responsible for reviewing consumer loans to include direct, indirect and home equity that are unable to be decisioned by the automated, score-based lending system. Desert Financial prides itself on providing stellar service and innovative products to its customers, and taking an active role in community outreach and education efforts in the valley and beyond.  Review consumer loans to include direct, indirect and home equity that are unable to be decisioned by the automated, score-based lending system. Evaluate collateral, credit, ratios and risk to determine appropriate loan decision for the organization. Review and confirm all information is complete and accurate in accordance with established guidelines and legal requirements (for example: Fair Lending Act), including, but not limited to, review of format, content, dates, names, personally identifiable information (PII), grammar. Analyze supporting documentation including, but not limited to, tax returns, appraisals, credit reviews, personal and/or business financials for covenant compliance for borrowers and guarantors. Provide guidance and coaching to internal stakeholders to increase accuracy and efficiency thereby reducing risk. Proactively identify and escalate red flags and potential fraud within an application to improve training and future applications. Communicate and respond to internal stakeholders, external clients/vendors, and members to ensure a superior member experience and good understanding of the departments responsibilities. Ensure adverse action notifications are handled according to regulatory guidelines. Monitor the loan queue by following department protocols to meet or exceed service standards. 5 years of consumer lending experience. Strong critical thinking with the ability to identify risk based on internal training. Strong written, verbal and presentation communication skills appropriate to all levels of the organization. Ability to build and maintain relationships with a broad population. Specific training courses in RESPA, REG B, Fair Lending, CFPB. 2 years of progressive underwriting experience.